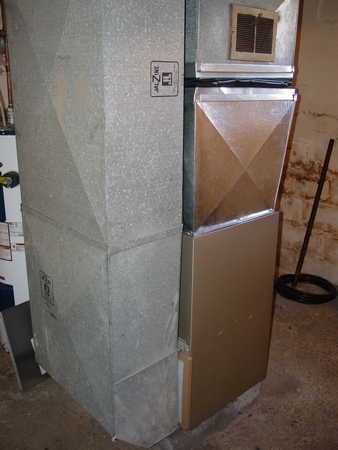 If it’s time to replace your old and rusty furnace you can consider to purchase the book above or you can get all the info you need almost instantly in the chapter from my Ductwork Installation Guide book below! During almost 30 years in the ductwork and furnace installation business I personally installed and replaced hundreds if not thousands of furnaces and in this chapter you can find everything you can think of! If you are replacing 80% or 50 % to 60% eff. furnace with 90%+, then you may need to purchase two additional chapters from my Ductwork Installation Guide book that are covering PVC venting and condensate lines installations. Both chapters and much more you can conveniently find on the page. Questions? Comments? Type them on this page. 59. 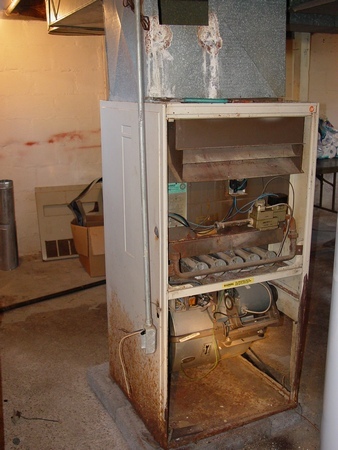 Furnace Change-out* – the chapter is dedicated to the furnace replacement part of the trade and describes everything that an installer is suppose to know. The chapter has 72 pictures; 27 pages. On 11/21/2012 25 pictures were added and text of this chapter was significantly modified and improved.